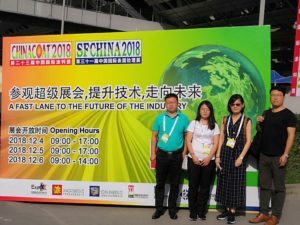 Sidleychem has visited China Coating Exhibition from Dec 4th to 6th 2018, and met customers from Southeast Asian such as Pakistan, Vietnam, India during the exhibition. 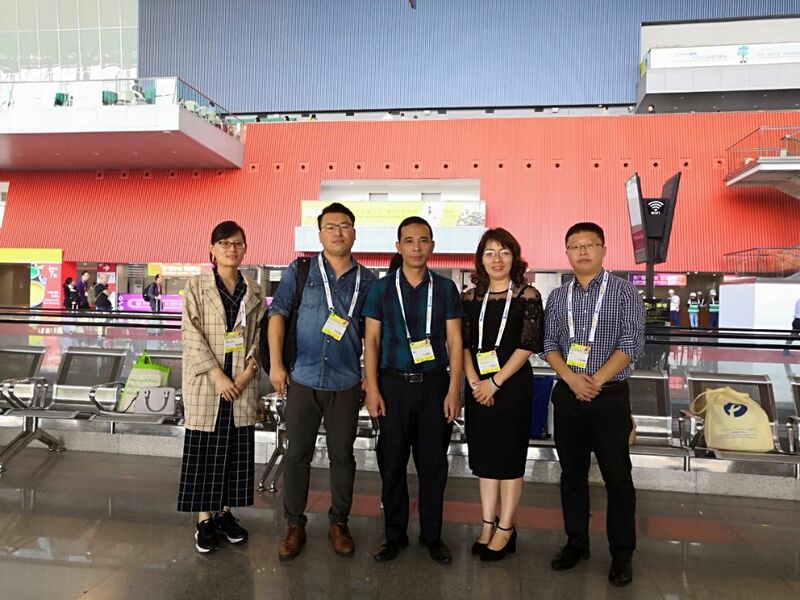 They are very satisfied with our Hydroxyethy Cellulose(HEC) and Sodium CarboxymethylCellulose (CMC). 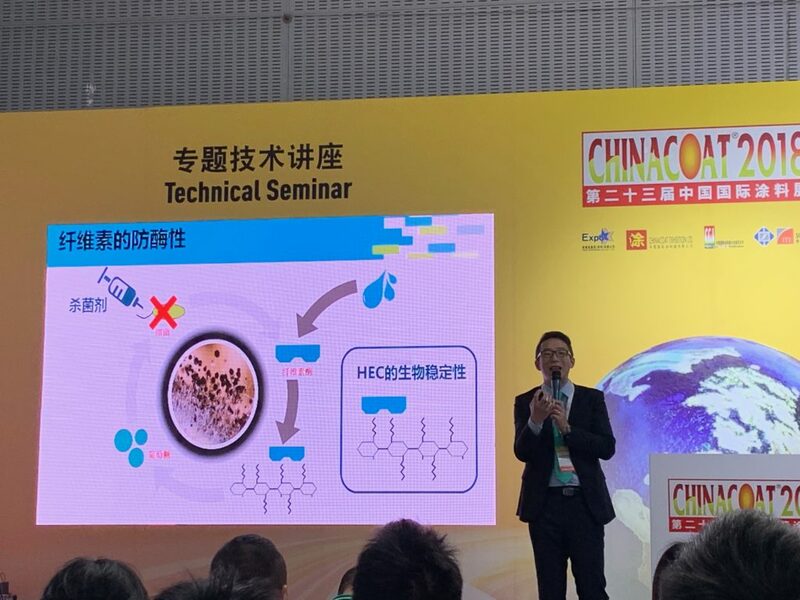 Especially HEC can replace Natrosol 250HBR, and can meet customers’ requirements in terms of biostability. Recommended model: HE-40000SE. 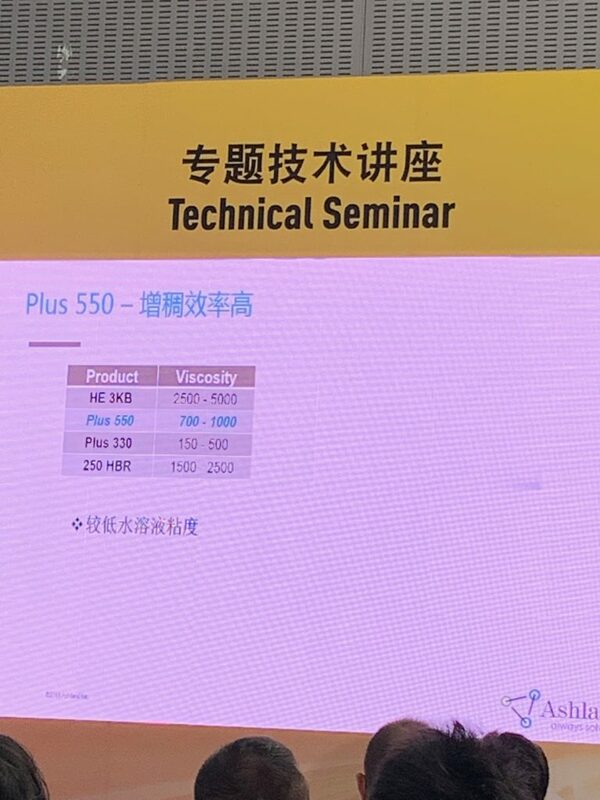 Meanwhile, we recommended a CMC with the application of Coating, low possibility of viscosity reduction and better with the thickening and stability in short-term storage. It also has good anti-splash, and very much suitable for spraying and roller coating. And it’s very competitive with helping customers to reduce costs. Recommended model: CMPS-3000. 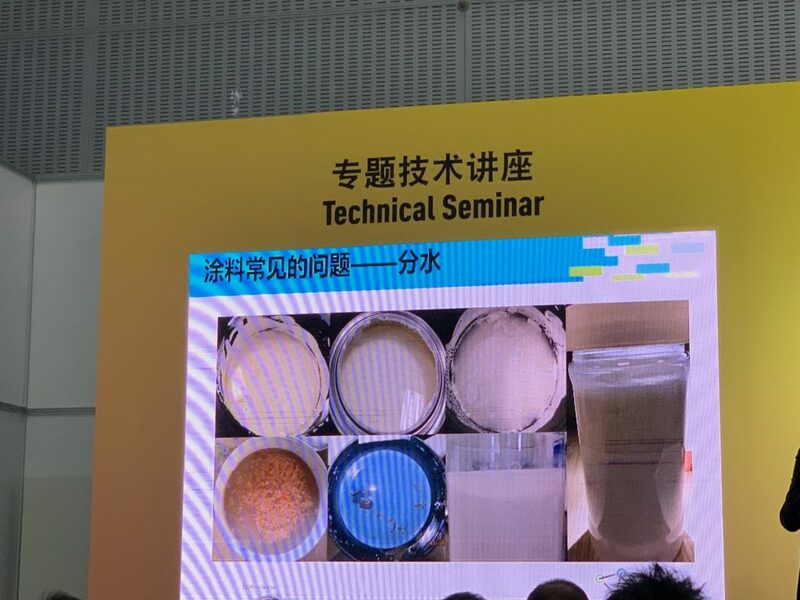 We have also participated in Ashland’s technical seminar about HEC, they stated the product characteristics of HEC, such as the biostability of HEC aqueous solution, the destructive effect of enzyme on HEC solution, and the common problems in coating-water separation phenomenon. It is undeniable that Natrosol ‘s products are very good, but their high price really hurts the paint manufacturers. After many years of production and research, Sidley has developed one type of HEC that can replace Natrosol 250HBR, which can meet customer requirements in terms of biostability, thickening, anti-splash and so on. And we help customers significantly reduce production costs that make products more competitive. If you need sample, please kindly contact us: sales@sidleychem.com. 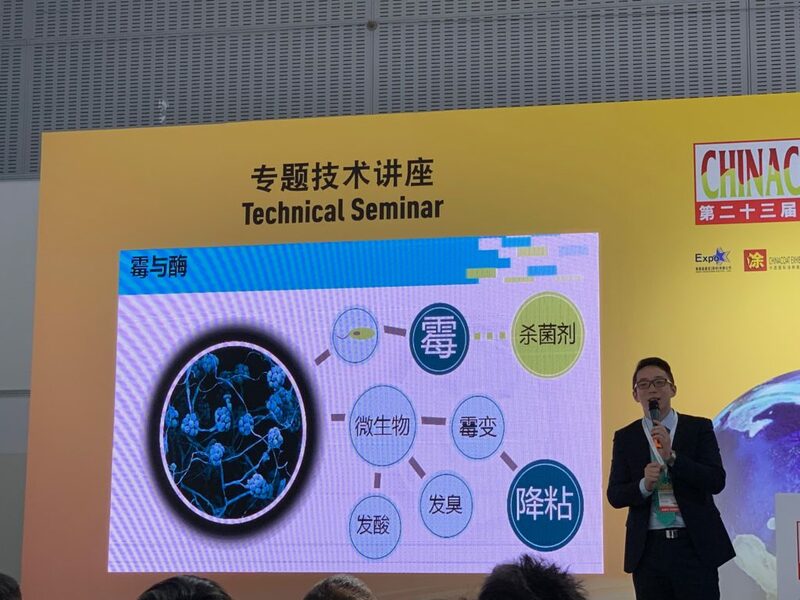 We are looking forward to working with more customers, face-to –face communication, and bring more convenience and competitiveness to our customers with our superior products. 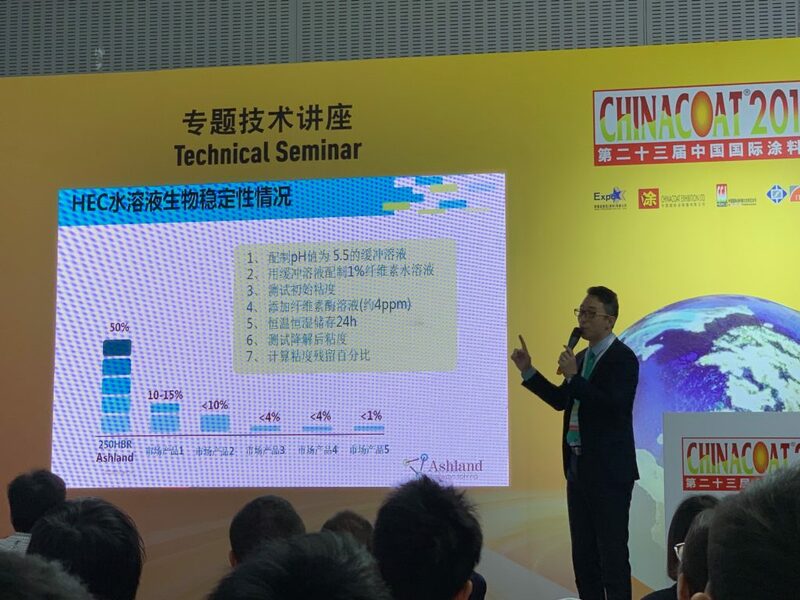 CHINACOAT has been an annual event for the global coating industry for more than 20 years. It exhibits all the products and technologies covering the entire coating industry chain. The 24th CHINACOAT will be held in Shanghai to provide visitors with more products and new technologies, we are surely to attend it then. Exhibition Date: Nov 18th-20th, 2019.